Jacqueline hails from the San Fernando Valley, roughly 20 miles north of Downtown Los Angeles, a product of a hard working immigrant family . Although she has always maintained a strong affinity for drawing, she never partook in a single Art class until she began her studies at CSUN(California State University Northridge). While attending CSUN, she acquired her B.A. in Fine Art, along with a minor in Chicano Studies, as well as her single subject teaching credential. During her time teaching at several school sites, “Jackie” developed a wealth of experience while working with students representing a variety of demographics. Recently, she returned to her alma mater –San Fernando High School– where she currently teaches Ceramics, happily giving back to her community. Jackie finds a great deal of comfort working in familiar territory. At San Fernando, she has been given a chance to offer her students an opportunity to see themselves reflected in an educator and leadership capacity. Currently, 73% of the students in the LAUSD(Los Angeles Unified School District)are Latinx, and another 15% represent other ethnic [so-called] “minorities”. With 66% of the teachers also representing people-of-color -43% of whom are Latinx- the LAUSDboasts the highest average in the nation. In many other regions of the U.S., roughly 80% of teachers are Caucasian, while students-of-color comprise more than half of the 51 million kids who are enrolled within the school systems. This is significant to Jackie, who views her role as an educator as integral towards dealing with matters of social justice. She works diligently to empower her students by teaching them the importance of the artistic and cultural contributions championed by people who share their roots. Evening out the educational playing field is no small task, but working in Title 1 schools, she tries to give her students as much access as other students in better resourced schools she’s worked in by offering Advanced Placement studio classes and taking them on a variety of field trips local and as far as Europe on one occasion. Jackie doesn’t shy away from discussing politics and promoting social awareness trying to make her students active participants in their communities. 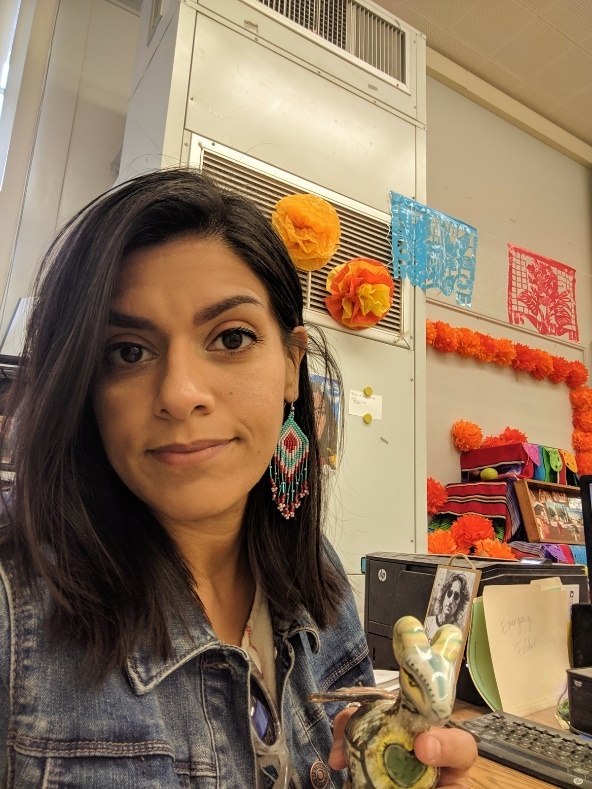 She started a social justice club in her prior school regularly meeting and taking actions every week, organizing events and even participating in an immigration march with her students. Jackie set out to be the teacher she would have wanted to have and works harder to be the teacher that so many of her students need.. When she is not teaching, Jacqueline is painting and exhibiting her work. She also enjoys traveling, playing soccer, and learning her mother’s recipes. Turn your creative passion into a business!